Greenbrier and Saudi Railway Company (SAR) announced on October 26 an agreement to form a joint venture to “execute railway projects and supply railcars for profitable growth of the Saudi freight rail market,” with a projected investment of $266.6 million. Greenbrier and SAR say the JV will establish a new multi-modal business centered on creating and maximizing existing and new freight corridors throughout Saudi Arabia and the wider Gulf Cooperation Council (GCC) region. Greenbrier will provide up to $100 million in new cars, lifting equipment and other terminal investment necessary to place cars in revenue service, and will operate intermodal and other freight terminals. In turn, SAR will provide locomotives, rail access and service schedules to operations. Using its investment syndication model, Greenbrier will facilitate the generation of an additional $170 million in collaboration with SAR and international public and private investment communities. The venture is intended to create a self-funding business, following the North American railway model, which the companies say will reduce reliance on government funding for the rail sector over time and enhance value. Greenbrier will have the first right to manufacture and provide cars for the fleet and will establish a Saudi-based manufacturing/assembly presence. 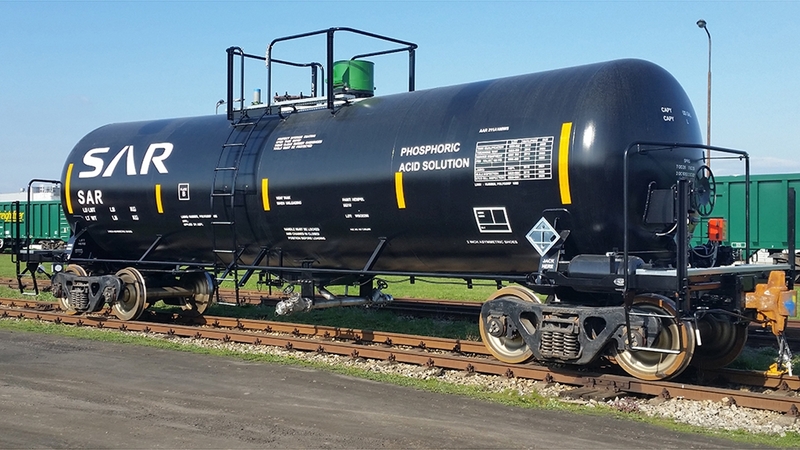 Greenbrier has supplied rail cars to SAR from its Poland-based subsidiary for several years. The companies say pooling resources brings several benefits to SAR including technology and knowledge transfer, advanced railcar designs and efficient network service design. The venture will promote supply chain efficiencies by increasing local content, reducing the capital burden on SAR, lowering SAR’s operating costs and improving the railway’s competitiveness with road transport. Increasing safety and improving the liveability of Saudi cities. The venture is subject to the completion of final due diligence by the parties and required government or corporate approvals. The announcement came as Greenbrier announced fourth quarter earnings $30.9 million, or $0.94 per diluted share, on revenue of $689.2 million. Adjusted pre-tax earnings was $75.3 million, or 10.9% of revenue. The post Greenbrier and Saudi Railway Company to form Joint Venture appeared first on Railway Age.